New York, New York. It’s as you know it, but with a futuristic Zwift twist. 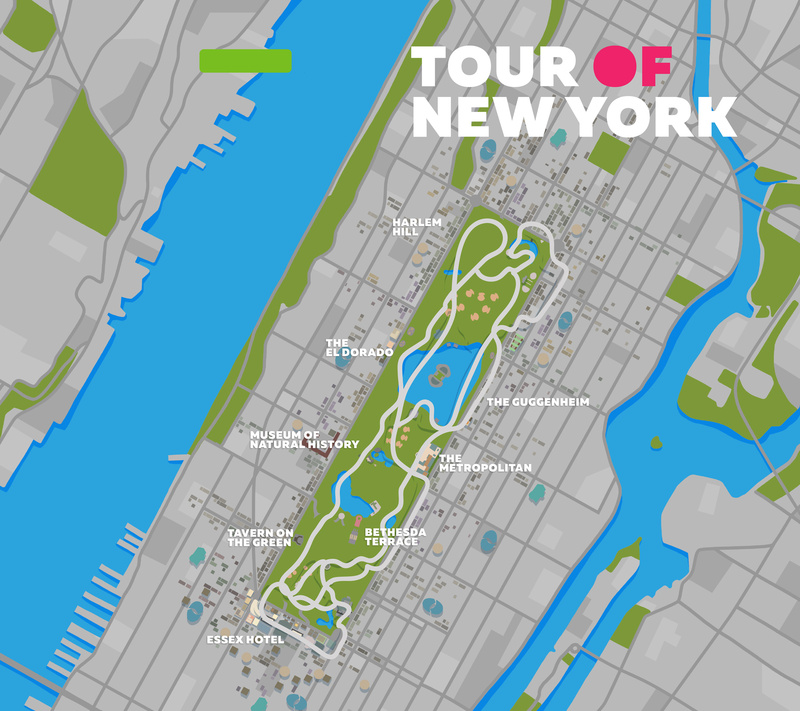 This Tour is hands down the best way to enjoy your ride through Central Park, take in all the sights and spot the iconic landmarks that line the green. We’ll also go beyond the city and rise high above the sky, into never before seen environments in Zwift. Riding together is always a joy, and the Tour of New York makes that happen with cyclists from all over the world. Work as a team, take a pull and share your thoughts on the course with riders around you. Over the 10 days of the tour, we’ll cover 5 stages. Complete all five stages, and you’ll unlock the very exclusive Tour of New York kit! Will some people ride this like a race? Sure. But this event is a group ride, and everyone is invited to pedal at their own pace. Find a pack, draft your buddies, and keep your thumb on the snapshot button. There’s plenty to see on two wheels! All Zwifters who finish all five stages will unlock the Tour of New York kit. You’ll receive an email notifying you of completion and when you can expect to see the fresh kit in your locker by November 9.